Dr. Hodgkins has a point. Diabetes is a menace among cats leading human-controlled lifestyles – lifestyles that are entirely disconnected from their natural instincts and biological needs. 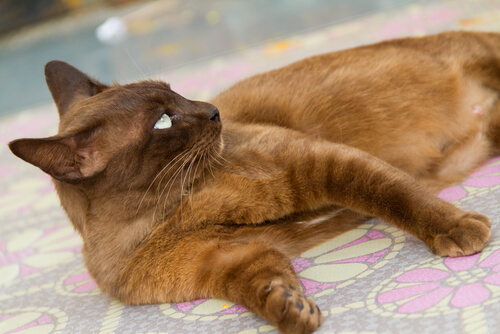 Aside from a genetic predisposition to diabetes in Burmese cats, diabetes risk factors are largely environmental. The best candidate for feline diabetes is an overweight senior cat who spends his days lounging around indoors and munching on kitty cereal. Choosing the right diet is your only hope of “curing” your cat’s diabetes. In fact, most diabetic cats who leave behind a biologically inappropriate diet see significant reductions in their insulin requirements. A large group can go into remission and no longer need insulin injections whatsoever. The best time to clean up your cat’s diet is before they show symptoms of diabetes. The second best time is immediately after you start seeing these symptoms. As diabetes progresses, the pancreas may become exhausted and will no longer secrete any insulin at all. In this case, there’s no hope of remission and insulin therapy is a life-long commitment. Fortunately for anyone trying to wean their cat off of the wrong food, diabetic cats usually have a ravenous appetite. While a healthy junk food addict might balk at a dietary change, hunger is often enough to force a diabetic cat to try something new. What is the best cat food for diabetic cats? The best food for diabetic cats honors your carnivorous cat’s natural dietary needs. If you ignore everything else in this article, remember this: a low-carbohydrate diet is essential. This brings us back to the idea that the best food is one that honors your cat’s physical requirements. All cats – not only the diabetic ones – have very low carbohydrate requirements. Remember that cats are obligate carnivores. They cannot survive without the amino acids found in fresh raw meat. Their natural meals come in naturally complete and balanced packages. Shrews, rabbits, birds, and mice have nourishing proportions of the vitamins, minerals, amino acids, and fats that your cat requires to thrive. What they don’t have is large concentrations of carbohydrates. 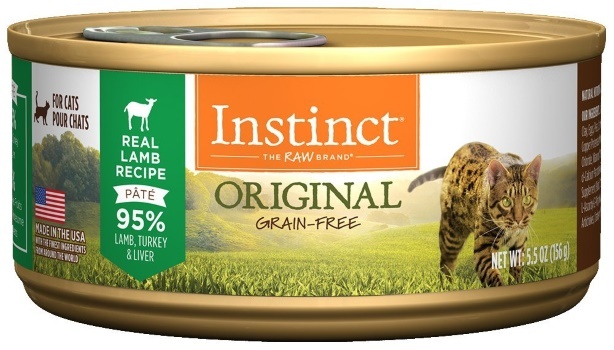 In fact, the natural feline diet may have as little as 1-2% carbohydrates from nibbles of grass and any digested plant matter found in the digestive tracts of their prey. We’re not just looking at your cat’s ancestors and homeless cousins and assuming that their unprocessed diet is superior to today’s science-backed menu. Cats have a physiological anti-carbohydrate bias. Cats lack salivary amylase (carbohydrate-digesting enzymes in their saliva) and, compared to omnivorous animals, have lower activities of digestive enzymes used to break down carbohydrates in the small intestine. If there’s no reason to stuff your healthy cat with carbohydrates, it’s ludicrous to do it to a diabetic one. Diabetic cats should eat food with less than 10% carbohydrate calories. Because a low-carbohydrate diet has an immediate and usually significant effect on blood glucose levels, home testing is critical. The effects of switching to a low-carbohydrate diet kick in immediately. This means that after changing your cat’s diet, you can’t wait days, weeks, or a month before reducing the insulin dosage. If you fail to reduce your cat’s insulin dosage according to your cat’s changing requirements, their blood sugar could dip dangerously low, leading to permanent brain damage or death. 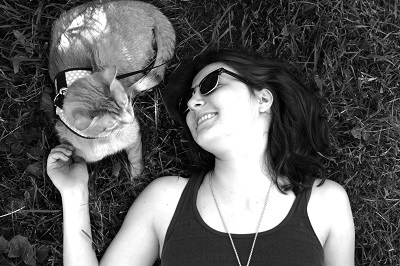 Instead of relying on regular veterinarian visits to evaluate your cat’s condition, take testing into your own hands. This device will allow you to carefully monitor the changes in your cat’s blood sugar and avoid a hypoglycemic crisis. This video demonstrates how to test your cat’s blood sugar at home. Consider that an average canned food may be composed of less than 3% carbohydrates, while a dry food from the same brand is 44% carbohydrate. Both are marketed as complete and balanced foods, yet the dry formula may have 15X the amount of carbohydrates. There’s no nutritional rationale behind it. Cats who eat canned food all of their lives don’t suffer from carbohydrate deficiencies. So why are dry foods so high in carbohydrates? 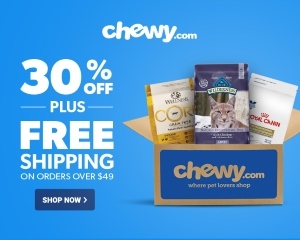 Dry cat food is necessarily high in carbohydrates for the same reason why keto cookies aren’t the same as fresh chocolate chip cookies made with plenty of wheat flour and cane sugar. It’s physically impossible to create uniform, marketable kibble without using peas, corn, potatoes, or other high-carbohydrate ingredients as a binder. One of the lowest-carbohydrate dry foods on the market is Orijen’s Regional Red cat food. It’s about 17% carbohydrates – still far more than your diabetic cat should consume. Because most diabetic cats are overweight, it’s also important to choose foods that will encourage gradual weight loss. Moisture-rich foods are more satiating and will help your cat to stay satisfied between meals. Are prescription cat foods good for diabetic cats? Not necessarily. Look for low carbohydrate levels, a healthy amount of moisture, and plenty of animal protein. If you find those qualities in a prescription food, that’s great. Most prescription foods, however, provide excessive carbohydrates and mediocre ingredients at unusually high prices. All of the products in our list of the 5 best foods for diabetic cats are high in moisture and less than 10% carbohydrate on a dry matter basis. If you’d like to explore more options, take a look at this cat food database. The ability to narrow your search by nutrient values makes it easy to browse products with less than 10% carbohydrate on a dry matter basis. It’s an invaluable tool for diabetic cat guardians. This food is a bit different from the others on the list—it’s sold as part of a cat food meal delivery service. NomNomNow cat food is made to order in a human-grade kitchen, then shipped to you according to a monthly or weekly schedule. Because you choose portion sizes according to your cat’s weight goals, this food makes portion control easy for diabetic cats who need to lose or gain weight. If you’re interested in learning more about NomNomNow cat food, and to order, Click here to read our review of NomNomNow. The recipe is 93% meat, organs, bones, and green-lipped mussels from the waters of New Zealand. It’s a limited ingredient diet centering around a novel protein, so it’s perfect for allergic cats and those with food sensitivities. 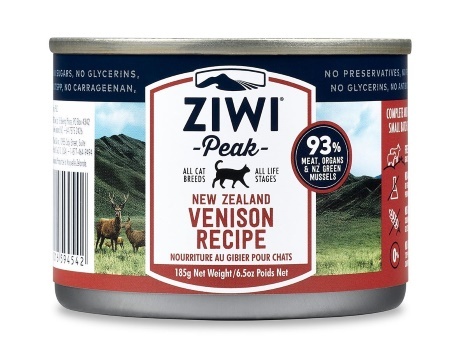 With an ingredient list centering around meat and virtually zero carbohydrate content, this food delivers all the animal protein your cat needs and none of the carbohydrates that raise their blood sugar. 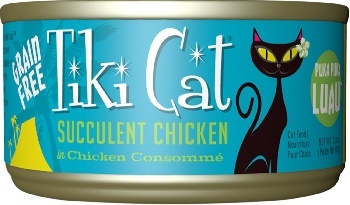 This food is a good choice for diabetic cats who enjoy a flaked texture and the flavor combination of chicken and tuna. 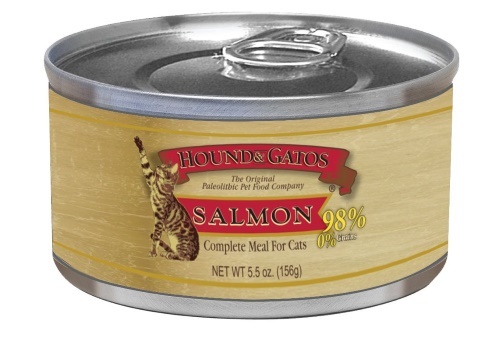 Hound & Gatos canned cat food is made with singular simplicity. This recipe contains a single animal protein source. 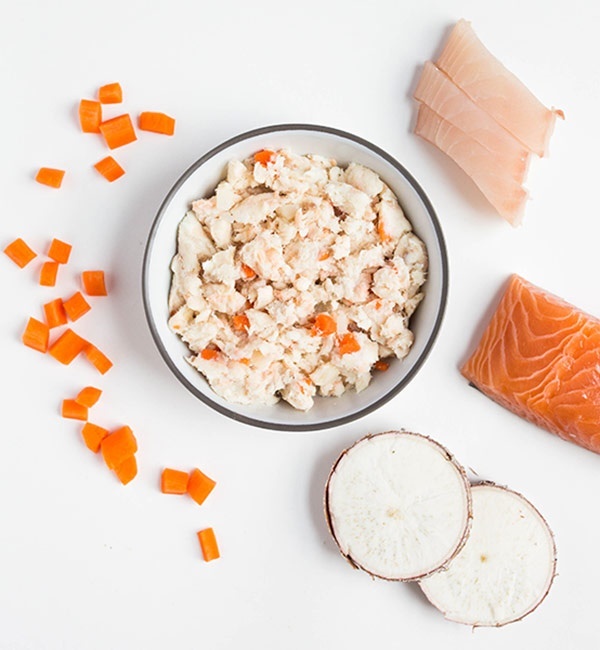 It’s combined with fish broth and enough synthetic supplements to ensure that each meal is nutritionally complete. Agar-agar is mixed in as a binder and thickener. Because Hound & Gatos is almost entirely free from plant ingredients and therefore won’t convert to sugar in the bloodstream, it has particular popularity among those shopping for diabetic cats. Yes – it’s a grocery store brand and it’s not particularly expensive. That doesn’t mean it’s not a good choice for diabetic cats. Fancy Feast is one of the most commonly-recommended foods for diabetic cats. It’s highly palatable, affordable, and exceptionally low in carbohydrates. 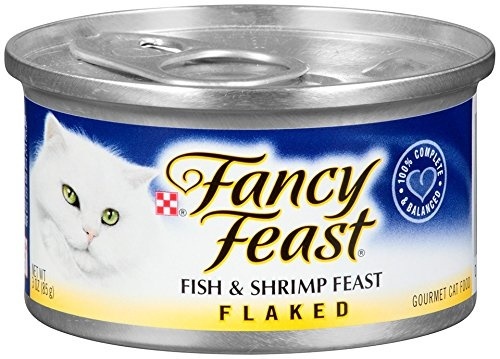 If your cat refuses to eat anything else, don’t be afraid to feed them this low-carbohydrate formula from Fancy Feast. This food is 95% lamb, turkey, and liver. The remaining 5% is composed of fruits and vegetables. Despite a small amount of plant content, the recipe is about 3% carbohydrates on a dry matter basis, putting it well within the less than 10% carbohydrate requirement. 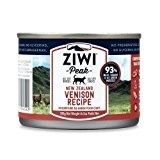 It’s a pate formula that’s high in animal protein with moderate fat content.